Jackie is hosting our challenge today and she would love to see anything with warm Autumn colours. 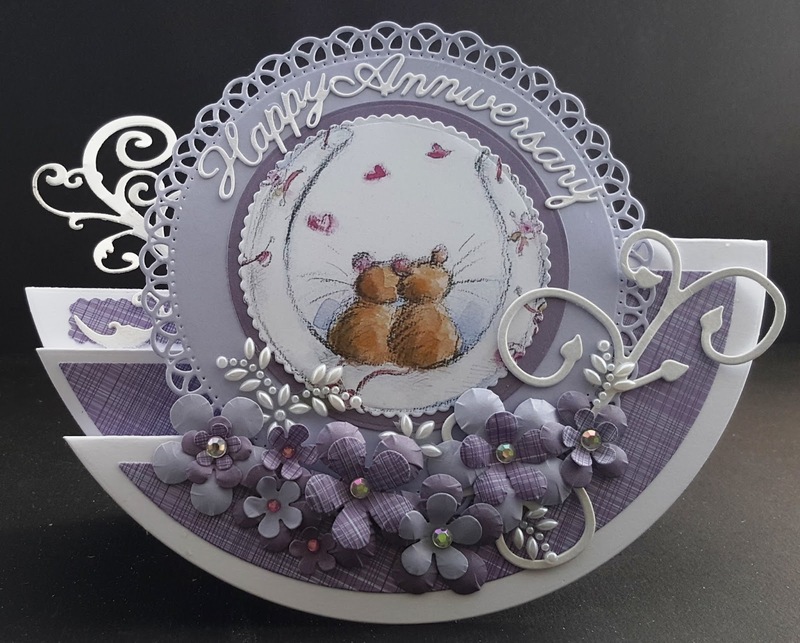 For my "man's card" I used a Sheena Douglas embossing folder, distress inks, gilding wax, a swirl die and some Hunkydory toppers from my stash. 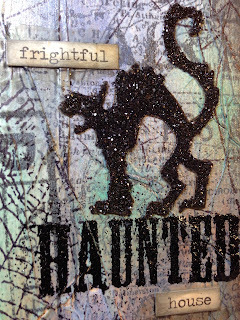 I bought some gilding flakes at a Craft Show recently and this was the perfect Challenge to use them. I decided to make a Christmas card in autumn shades - red, brown and gold. 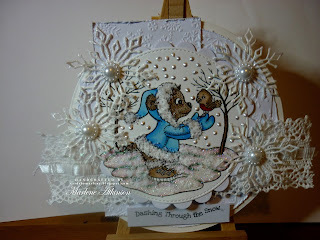 I die cut the snowflake panel and 'Noel' and mounted them onto red card. The snowflakes are heavy cardboard which I triple-embossed using some Cosmic Shimmer UTE powder. 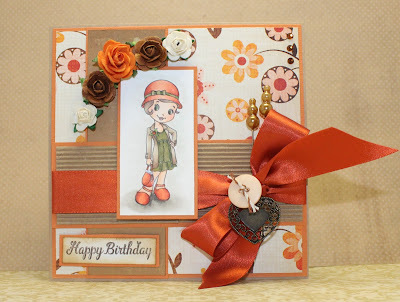 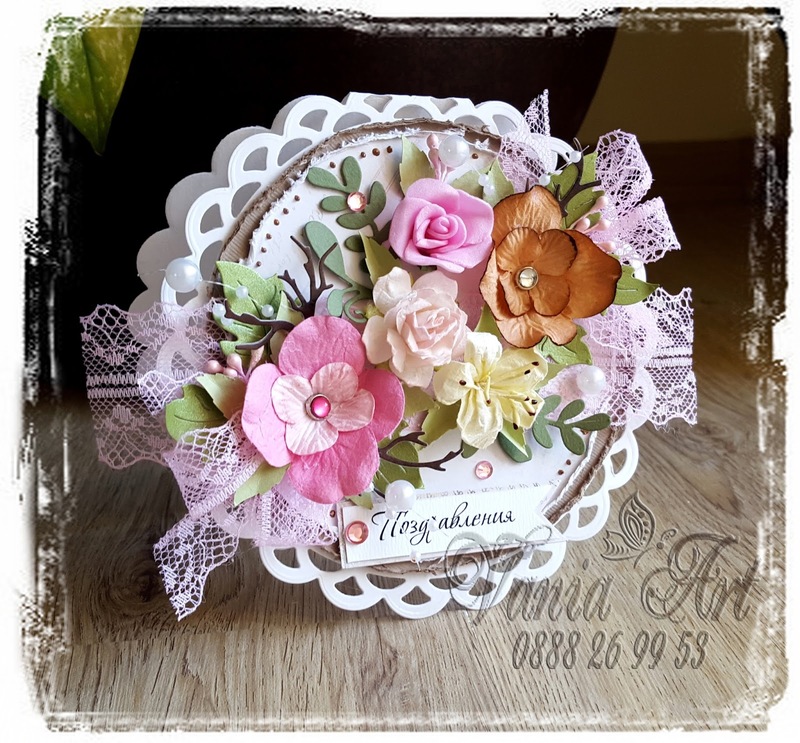 I like to create cards in brown colours and I made this one with big pleasure. I used lace and some flowers in sunny colours . I love the many colours of Autumn and have really enjoyed making this card. 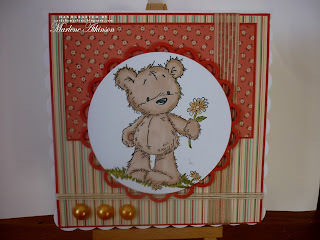 I used a "Peek-a-boo" window and a very cute image by Tiddly Inks. 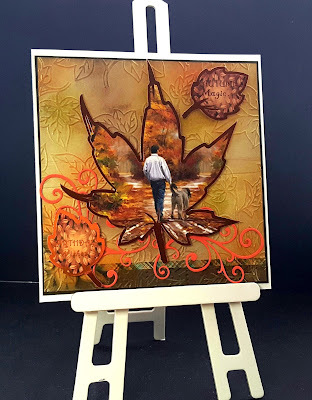 I chose this cute little image from Pink Gem Designs and stitched leaves dies from Lawn Fawn to create my Autumn Colours card. 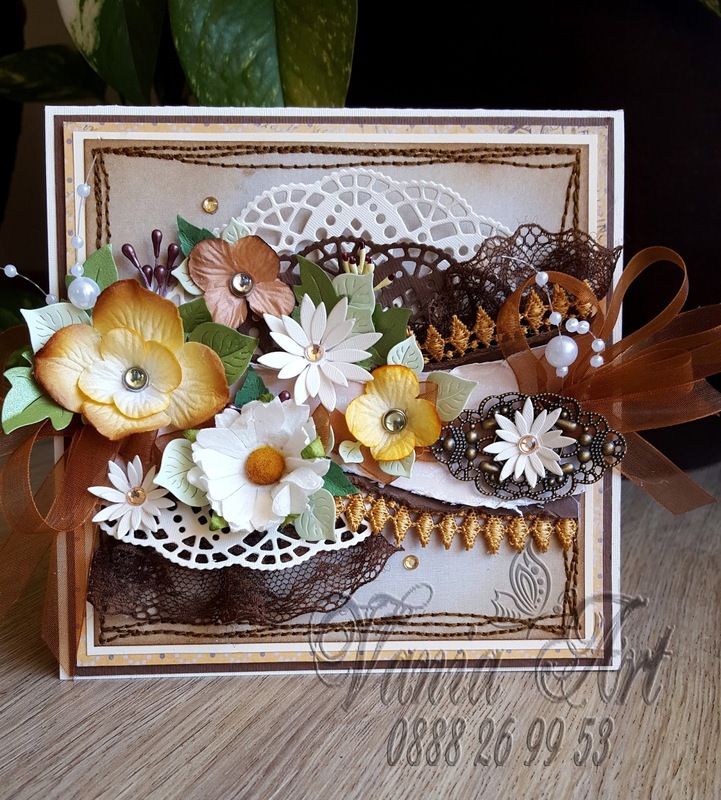 I love the Autumn, with all it's glorious colours so this was an easy challenge for me. 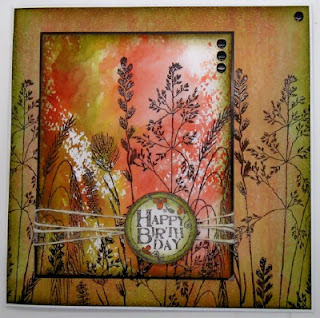 My card has been made using a Kaleidacolor ink pad, Woodware grasses and LOTV sentiment. 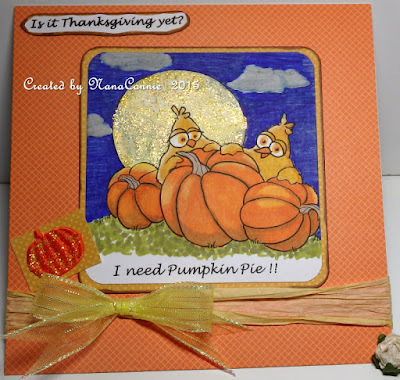 For my card I used some papers from Joy Crafts, and a mixture of Creative Expressions stamps for the leaves and sentiment and the pumpkins and lamp post are old stamps by Sheena Douglass. 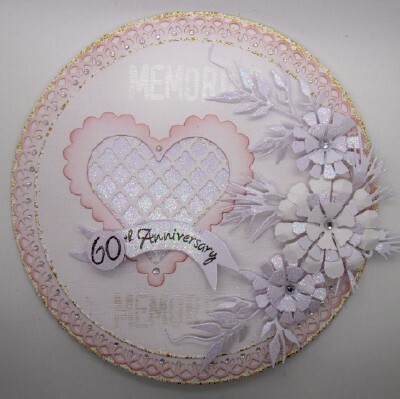 I made this card for a Diamond Wedding Anniversary using my circular Grand Nesties, a variety of other dies and of course loads of diamonds. 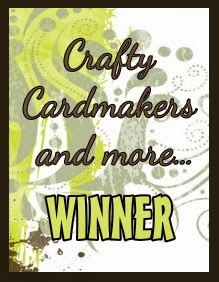 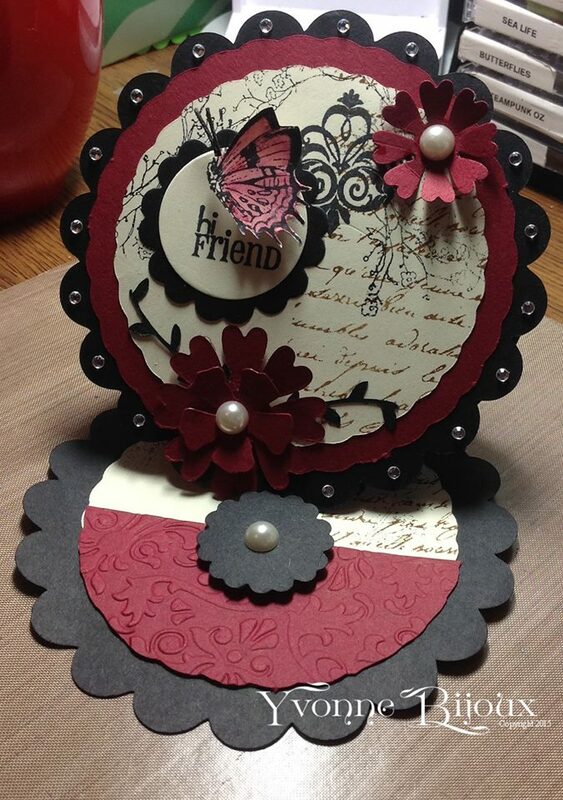 I love circle cards and can't wait to see all of your fabulous creations. I used some designer paper,embossing and some punched flowers to make my circular Thank You card. 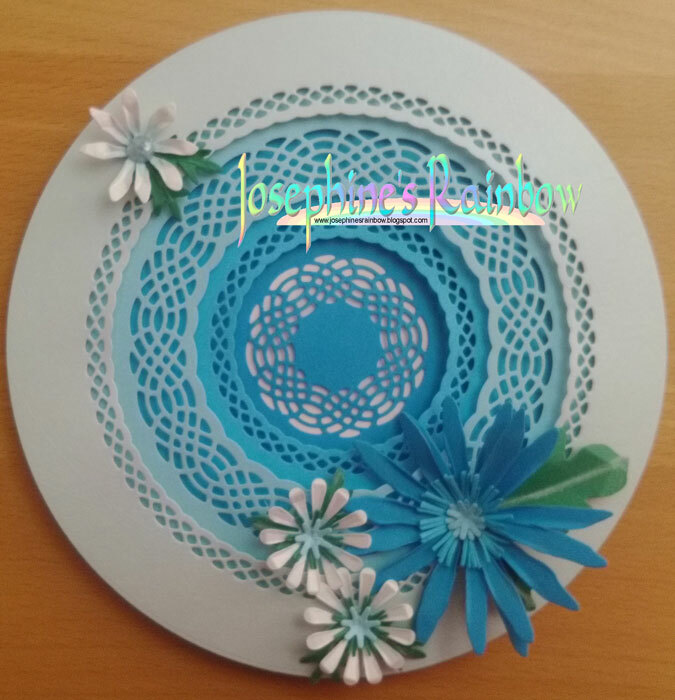 I played with some new dies for this one - Presscut to cut the basic circles, and Tonic for the Celtic patterns and finished with flowers cut using Sizzix and Crealies dies. 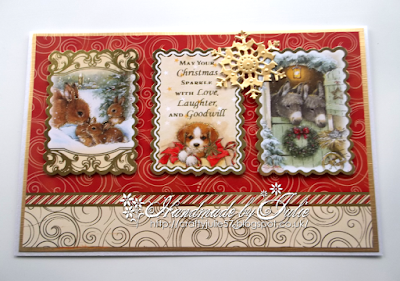 A little early for Christmas, but loved these new Lawn Fawn stamps and dies. 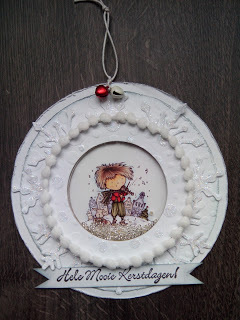 I thought that they would be perfect for this challenge. 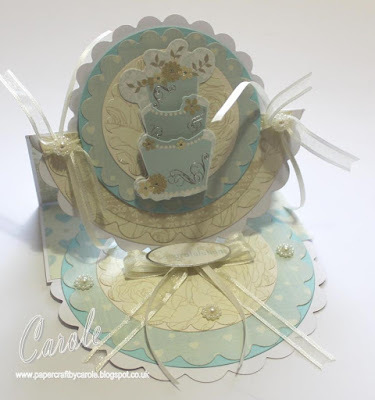 Using Elements from Crafters Companion Sara's new Signature Collection Butterfly Lullaby. 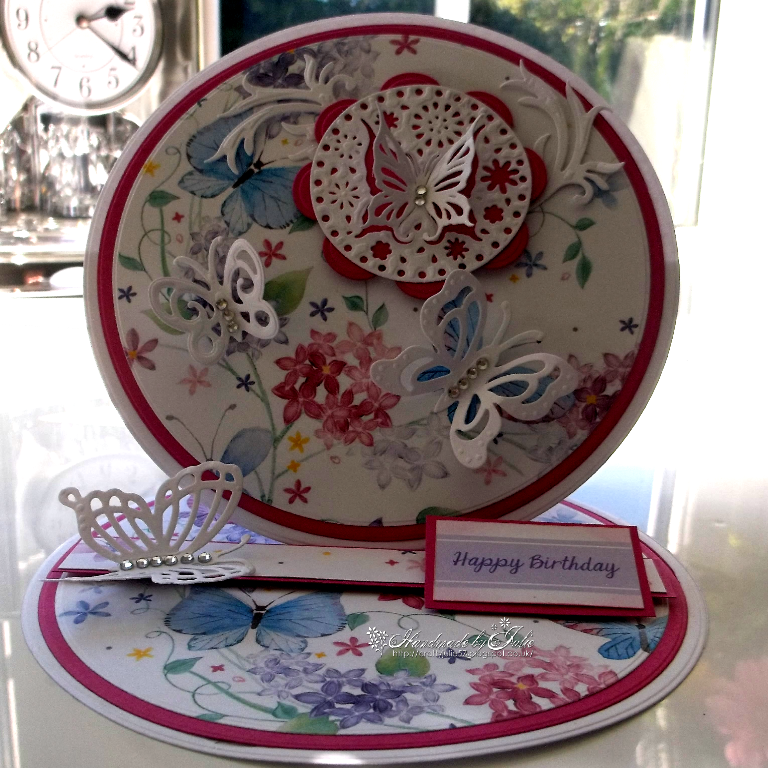 I layered up various card/paper cut using dies and topped it with a decoupaged flower cut using a tattered Lace die. 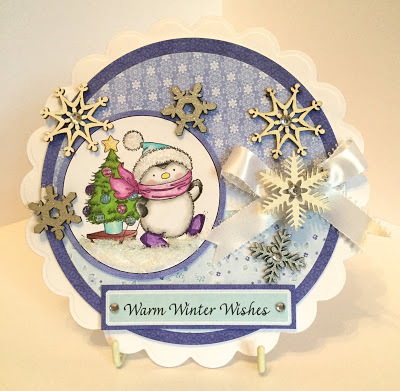 after I found a suitable size I could use my Spellbinder dies with. 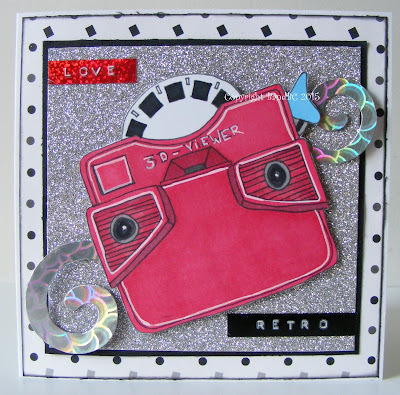 I really enjoyed creating this one! 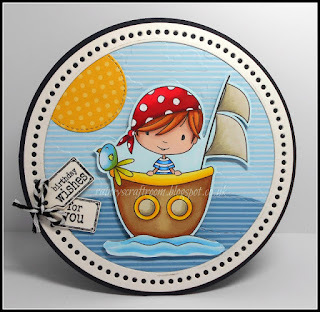 I used my Cricut machine in combination with some Sizzix dies for circular shapes. I also used stamps and dies to create the flowers and butterfly embellies. 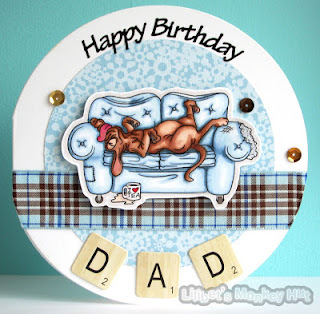 I had a lot of fun making this card! Usually I stick to a "normal" card size, but this way I could step out of my comfort zone a little. I have used dies and stamps from My Favorite Things, Lawn Fawn and Simon Says Stamp. I have made a scalloped circle easel card using Kanban papers and toppers. 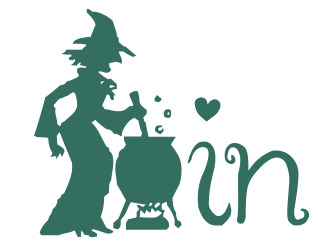 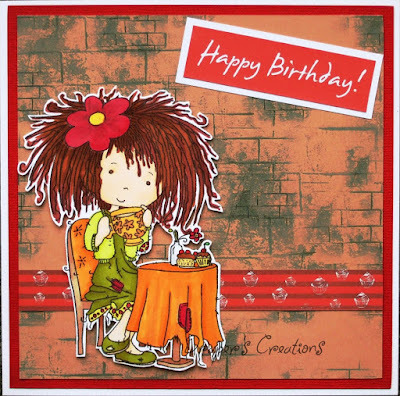 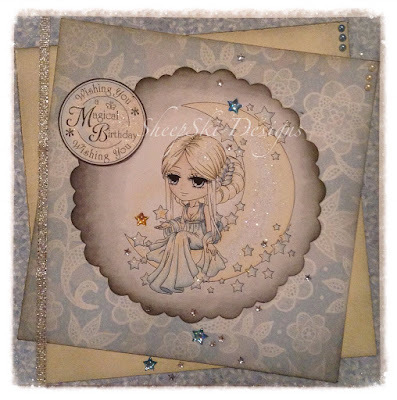 I have used an image by Meljens Designs for a super cute girly dragon card. 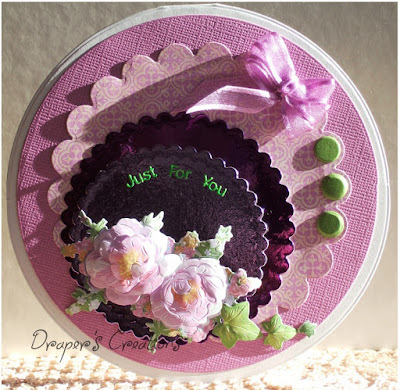 My card was made using my tattered lace circle side stepper card, various circle dies, some flower dies and items from my stash. This was quite a tricky one for me as I don't have any large circle dies, so I used my small ones and thought small - this card is only 4 inches in diameter. I've used off cuts to make the panels. 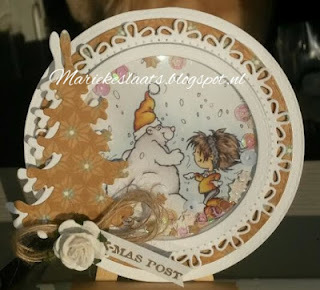 As this is another Christmas card that will be posted, I've kept the embellishments to a minimum, but would add flowers and other things if I was not constrained by the postage service!